These days, many drivers are choosing to install backup cameras on their vehicles. Thousands of blind spot accidents have been avoided thanks to these handy cameras, and today the technology is more affordable than ever. You don't need to drive a huge vehicle like an RV or 18-wheeler to be subject to blind spot accidents. With a license plate backup camera in place, you will never have to regret shifting lanes at the wrong time, or backing into something that was not within your range of vision. This sleek, black license plate backup camera is incredibly easy to install. It comes with adjustable brackets that mount conveniently to your license plate's current existing screws. There is no need to modify your vehicle in any way. The full-color CCD (High Definition) lens offers unrivaled picture quality, and the military-grade night vision makes seeing in the dark a breeze. It comes standard with reverse (mirrored) imaging, and you can set it to activate when you are in reverse or just leave it on all of the time. An outdoor camera needs to be able to handle some harsh conditions, and this camera is certainly up to the challenge. The steel weatherproof chassis will resist water damage, as well as physical abuse. The camera has a 120° angle, which allows you to see everything behind the vehicle. 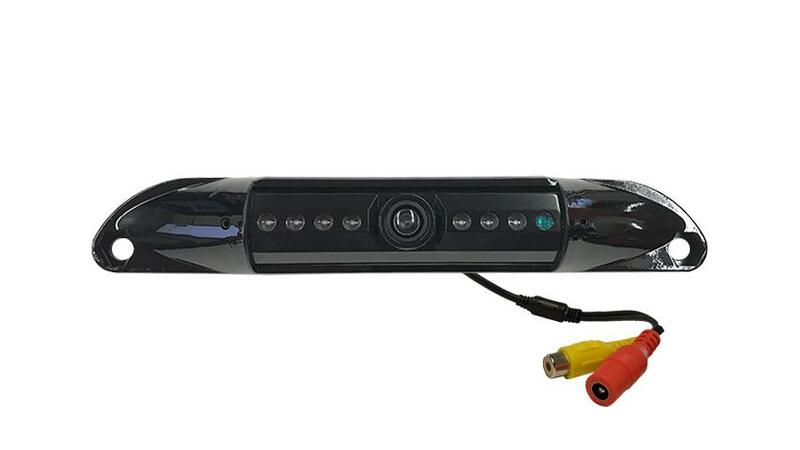 This high resolution license plate camera is also compatible with all of our other cameras, monitors, and car DVD players, so feel free to customize your own system as needed. If you have any questions about any of our products, our knowledgeable staff is available to assist you at any time. Just give us a call at (866) 966-5550. We understand that shopping for a new camera for your vehicle can be a difficult process if you are not familiar with them, so do not hesitate to talk to one of our friendly experts about your options. Buy with confidence knowing that you have 30 days to return or exchange your camera if necessary. What do the angles mean? "Thanks works fantastic. Cant believe the clarity on the screen. The backup lines are most helpful. And looks fantastic thanks so much. "